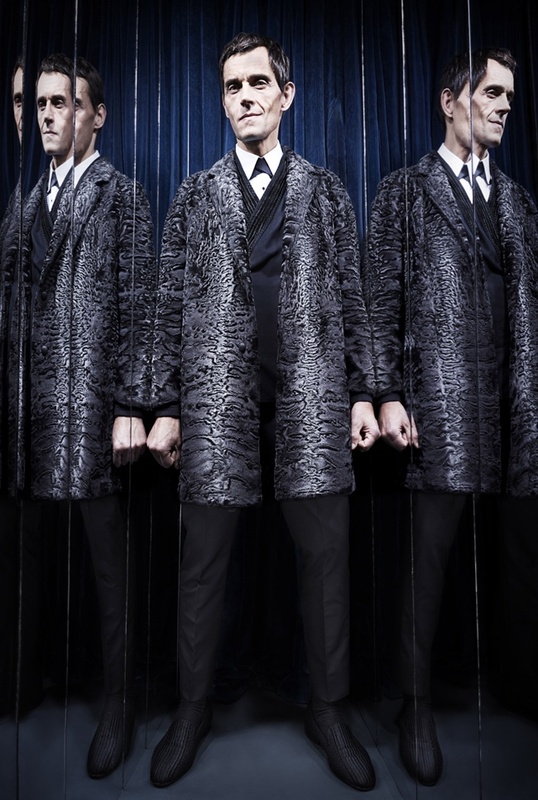 A cocoon-like environment, perfumed candles and refined drinks, but also the live blues notes of The Cyborgs, a sound that comes from the future to bring the past to the present, underline the conceptual approach of Daniele Cavalli in the creation of this season`s men’s collection. Carpets, velvet, mirrors, design: this is the modern Gentleman’s Club proposed in a penthouse of Piazza San Babila, in the heart of Milan. A sumptuous and glamorous setting between sartorial tradition and new languages of communication, where the new collection, is displayed on sartorial busts ready to be touched, discovered and “savoured” in its most exquisite nuances. Different concepts within one location: each of them with its distinct and defined character, highlighted by the powerful images of British photographer Rankin. 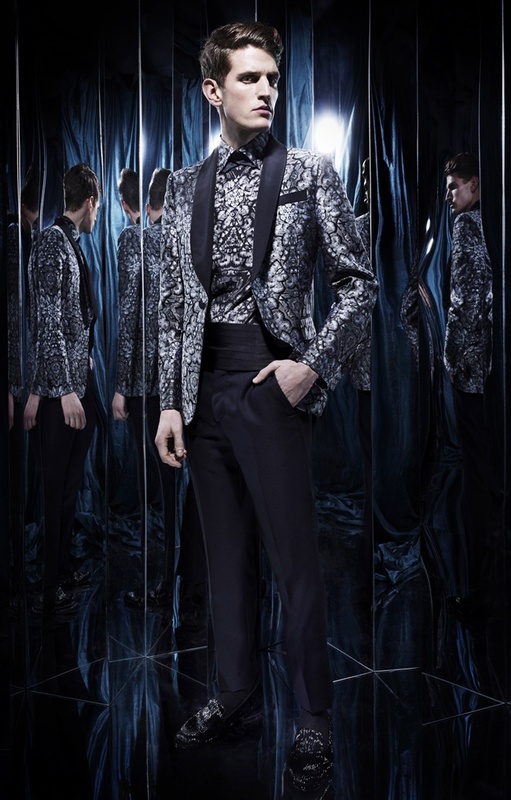 Small prints conquer the ties, which are recovered with a new conviction, almost playful, and continue on the silky pant itself, the shirt and infinitesimally on the jacquard tuxedo jacket. 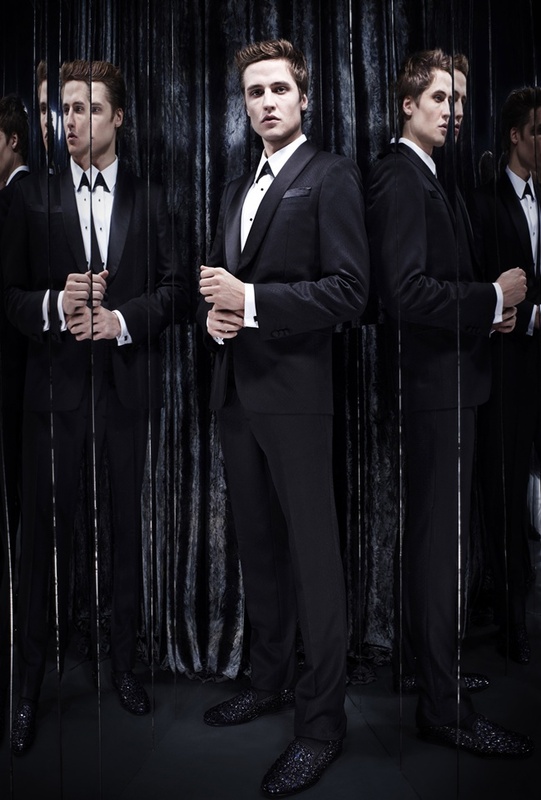 The tuxedo, an inevitable must item in the wardrobe of every modern gentleman. 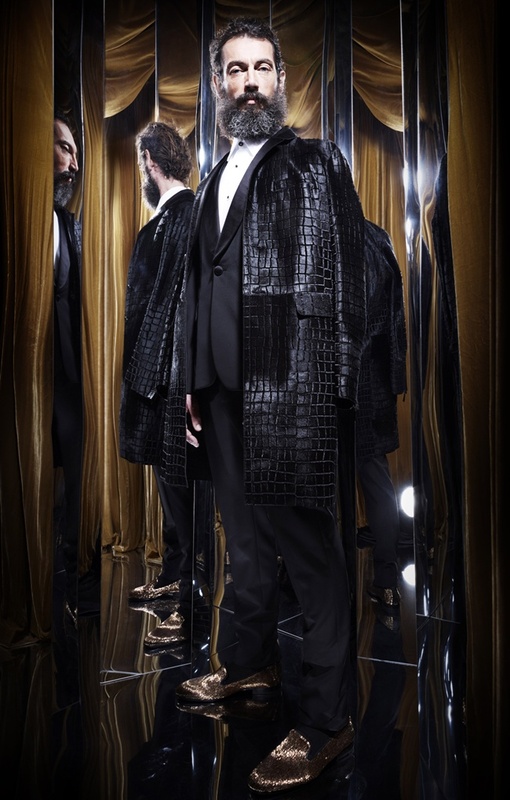 Symbolical in the present collection which envisions an accessorized tuxedo room (similar to a wardrobe) enriched with bow-ties, cufflinks, silk scarves and slippers. In line with the Cavalli heritage, the collection features prints, which are approached in an innovative, allusive and experimental way. Snakes, alligators, lizards, leathers and feathers are placed and artistically reassembled thanks to the magnetic ability of a teleidoscope which disassembles an image by reinstating fragments of reality. It probably began in 1693 in London with White’s, which at the time was simply a refined chocolatier. Nevertheless, it already presented the foundations, which in the 19th century, made these British clubs an unmistakable lifestyle reference point for men. Whether noble descendants or industrial middle-class, in these Clubs gentlemen dined, smoked, played billiards, commented on the cricket or spoke about the latest ephemeral gossip, using the same elegant (but false) indifference they portrayed when choosing their attire. A way of dressing which in reality was very polished, rigorous and characterized by an extraordinary attention to detail, a special and distinctive way of dressing. Ladies and Gentlemen, how do you like the collection and it`s presentation off the runway? I like the collection, especially the outfit withe the croc leather biker jacket. I'd wear the hell out of it. oh god I'm an absolute sucker for some good menswear in a nice photoshoot. 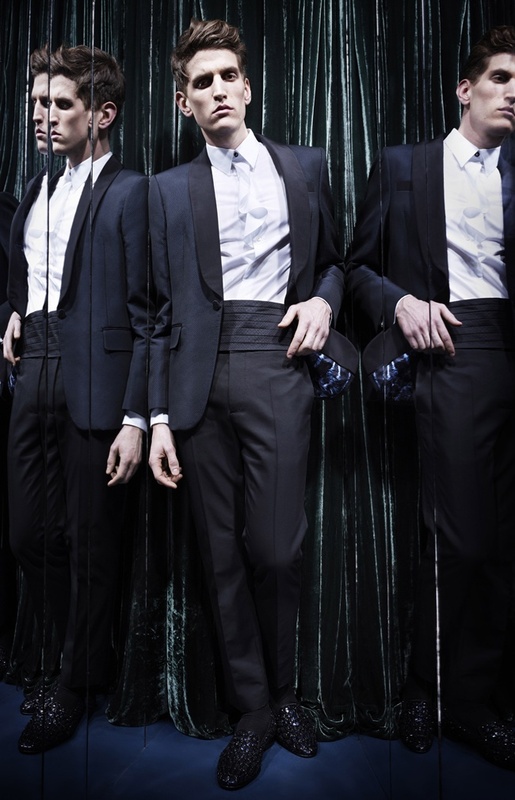 Love the age range of the models in this campaign - it definitely adds to that sense of tradition and sophistication.